Presentation for the Platypus Affiliated Society, Saturday, December 17, 2011, at the School of the Art Institute of Chicago. Please see “The relevance of Lenin today” essay, published in the Platypus Review, Weekly Worker, and Philosophers for Change. Lenin is the most controversial figure in the history of Marxism, and perhaps one of the most controversial figures in all of history. As such, he is an impossible figure for sober consideration, without polemic. Nevertheless, it has become impossible, also, after Lenin, to consider Marxism without reference to him. Broadly, Marxism is divided into avowedly “Leninist” and “anti-Leninist” tendencies. In what ways was Lenin either an advance or a calamity for Marxism? But there is another way of approaching Lenin, which is as an expression of the historical crisis of Marxism. In other words, Lenin as a historical figure is unavoidably significant as manifesting a crisis of Marxism. The question is how Lenin provided the basis for advancing that crisis, how the polarization around Lenin could provide the basis for advancing the potential transformation of Marxism, in terms of resolving certain problems. The Frankfurt School Critical Theorist Theodor Adorno, in his 1966 book Negative Dialectics, wrote of the degeneration of Marxism due to “dogmatization and thought-taboos.” There is no other figure in the history of Marxism who has been subject to such “dogmatization and thought-taboos” as much as Lenin. Today, such a proposition seems especially implausible, in many ways. Yet perhaps the memory of Lenin haunts us still, however obscurely. This discussion about the relevance of Lenin today is in anticipation of Platypus’s Winter–Spring 2012 primary Marxist reading group, on the history of revolutionary Marxism, centered on the writings of Lenin, Luxemburg, Trotsky, and Adorno. Presented on a panel with Fabian Arzuaga, Bo-Mi Choi and G. S. Sahota at the Critical Historical Studies conference, Chicago Center for Contemporary Theory (3CT), University of Chicago, December 3, 2011. History is a way the present relates to itself. History mediates the present, and anticipates the future. The relation of past and present in history is a social relation, a relation of society with itself, as a function of change. The proper object of the present is history: the present is historical; it is constituted by history. The present is history; history is the present. As Hegel put it, the “philosophical” approach to history is concerned with the “eternally present:” what in the past was always present. This is a function of modernity. What is at issue is the form of the present in history, or, the form of history in the present. Three writings, by Nietzsche, Benjamin and Adorno, respectively, reflect upon the specific form of history in capital, and on the possibility of transcending the historicism that emerged in the 19th century, as it continued to inform the 20th: Nietzsche’s 1873 “On the Use and Abuse of History for Life;” Benjamin’s 1940 “Theses on the Philosophy of History;” and Adorno’s 1942 “Reflections on Class Theory.” Nietzsche’s essay inspired Benjamin’s; Adorno’s followed directly upon Benjamin’s. Nietzsche’s second “untimely meditation” (or “unfashionable observation”), “On the Use and Abuse of History for Life,” critiqued what translator and Nietzsche scholar Peter Preuss called the 19th century “discovery” of history. Nietzsche regarded history specifically as a symptomatic expression of the genuine needs of the time. For Nietzsche, the symptom of history is expression of an illness, but Nietzsche’s approach to such illness is as to “pregnancy:” not to be cured in the sense that it is eliminated, but rather undergone successfully to bring forth new life. 19th century historicism was, for Nietzsche, the hallmark of a historically peculiar form of life: modern humanity. Modern humanity is historical in a precise sense: “history” is historical. For Nietzsche, the question is what the symptom of history indicates about the need for humanity to overcome itself in present form. Nietzsche’s expression for this potential self-overcoming of historical humanity is the “supra-historical.” It points beyond history, towards a new form of life that is possible in history. 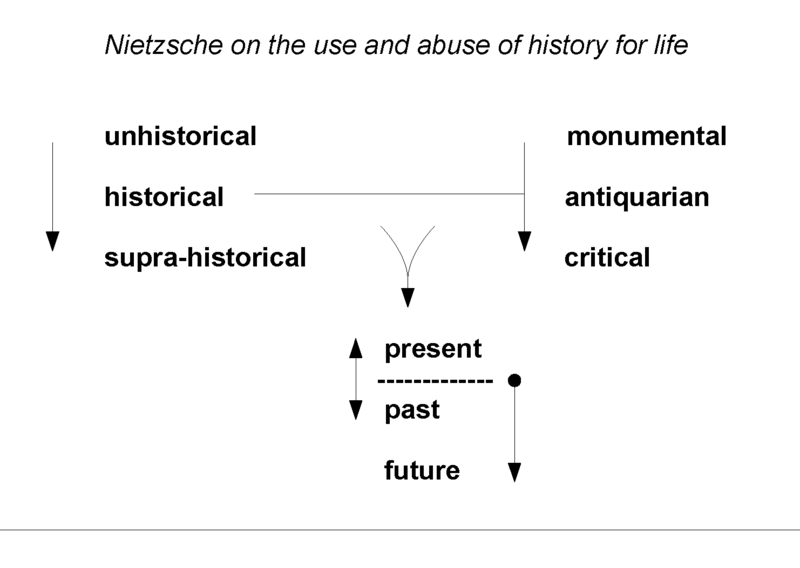 For Nietzsche, there are three forms of the historical: the “monumental;” the “antiquarian;” and the “critical.” Nietzsche addressed these different phases of the historical as expressing different “uses” or needs for the historical in the “life” of humanity. In each of them the past figures differently. The forms of the historical are distinguished from the greater three categories with which Nietzsche’s essay is concerned: the “unhistorical;” the “historical;” and the “supra-historical.” The latter three categories refer, respectively, to the pre-human, the human, and the supra-human. Humanity becomes itself through history; and it potentially overcomes or transforms itself in transcending itself as historical. As Preuss pointed out, history is the record of the “self-production” of humanity. Therefore, the transformation of humanity, the changes in its self-production, changes history, and changes what the past is for humanity. In this respect, it is possible to address Nietzsche’s essay as indicating the possibility for going beyond the historical, or overcoming the present relation humanity has to itself, in and through history. Benjamin, and Adorno following him, appropriated Nietzsche’s account of history for their Marxist critical theory of the “philosophy of history,” specifying Nietzsche’s symptomology of history as symptomatic of capital. For Benjamin and Adorno, Nietzsche’s account of history was historically specific to its moment of capital, the late 19th century, with further implication for the 20th century. According to [Marxian] theory, history is the history of class struggles. But the concept of class is bound up with the emergence of the proletariat. . . . By exposing the historical necessity that had brought capitalism into being, political economy became the critique of history as a whole. . . . All history is the history of class struggles because it was always the same thing, namely, prehistory. This gives us a pointer as to how we can recognize what history is. From the most recent form of injustice, a steady light reflects back on history as a whole. Only in this way can theory enable us to use the full weight of history to gain an insight into the present without succumbing in resignation to the burden of the past. This relation of pre-history, history, and a potential post-historical condition was, for Adorno, the relation of the present to the “burden of the past:” can it be redeemed? [Marxism has been praised] on account of its dynamism. . . . Dynamism is merely one side of dialectic: it is the side preferred by the belief in practicality. . . . The other, less popular aspect of dialectic is its static side. . . . The law that, according to the Hegelian dialectic, governs the restlessly destructive unfolding of the ever-new consists in the fact that at every moment the ever-new is also the old lying close at hand. The new does not add itself to the old but is the old in distress. Potential futures are generated out of the relation of past and present, out of the relation of the present to itself through history. The dynamic of history is inherent in the self-contradiction of the present: history is a projection of it. What is the “practicality” of history? The emergence or departure of the new is the self-overcoming of the present, or the self-overcoming of history: its immanent transcendence. Nietzsche’s phrase, “self-overcoming” is, literally, the “Selbstaufhebung:” self-fulfillment and self-negation. The present provides an opportunity for the self-overcoming of history. The “new is the old in distress” because it is the present in tension with itself: is the present merely the ever-same? The “static side of the dialectic,” in which the “ever-new is the old lying close at hand,” means that, as Benjamin put it, “every second is the strait gate through which the Messiah [redemption] might enter” (Addendum B). The “homogeneous” and “empty” time of the ever-same is also, potentially, the “full” time-of-the-now (Jetztzeit). History is dialectical, but it is a “negative” dialectic of the present: the present, in its potential for self-overcoming, disintegrates as history disintegrates into the mere facticity of the past. Historicism is a symptom of failed self-overcoming. For Benjamin, the task was to “construct” history, rather than to merely “add” the new to the old (Thesis XVII). This is the contrast Adorno found between the new as “the old lying close at hand” and the “restlessly destructive unfolding of the ever-new” that is “always the same thing, namely, prehistory.” The “static side” of the dialectic of history is thus a resource. The question is whether it is a resource for the emergence of the new or the perpetuation of the old: either, or both. The discontent of history is the source of Nietzsche’s “untimely thought.” What potential critique of the present does history offer? Nietzsche recognized himself as a product of 19th century historicism. Nietzsche characterized as “antiquarian” the deadly transformation of history into the mere facticity of the past. As a Classical philologist, Nietzsche was well prepared to address the melancholy of modernity expressed in historicism. As Benjamin put it, quoting Flaubert, “Few people can guess how despondent one has to be in order to resuscitate Carthage” (Thesis VII). (The reference to Carthage echoes that with which Nietzsche began his essay, the Ceterum censeo [“I judge otherwise”] of Cato the Elder: “Carthago delenda est [Carthage must be destroyed].” As Nietzsche put it, this was the spirit with which his “consideration of the worth and the worthlessness of history” began.) In response to such threatening acedia, Nietzsche contrasted his “critical” approach to history. Here it becomes clear how badly man needs, often enough, in addition to the monumental and antiquarian ways of seeing the past, a third kind, the critical: and this again in the service of life as well. He must have the strength, and use it from time to time, to shatter and dissolve something to enable him to live: this he achieves by dragging it to the bar of judgment, interrogating it meticulously and finally condemning it; every past, however, is worth condemning. This approach, Nietzsche pointed out, was counter to the historicist passion of his time, the prevalent “consumptive historical fever.” Nevertheless, Nietzsche found his own philological concerns to motivate a certain dissatisfaction with the ethos inherent in “the powerful historical tendency of the times, as it has been, by common knowledge, observed for the past two generations, particularly among the Germans” since the early 19th century. I must be allowed to ascribe this much to myself on account of my profession as a classical philologist, for I would not know what sense classical philology would have in our age unless it is to be effective by its inappropriateness for the times, that is, in opposition to the age, thus working on the age, and, we hope, for the benefit of a coming time. The consummation and self-destruction of 19th century historicism in Nietzsche presented the demand for the “supra-historical,” for getting beyond the historical comportment that had produced Nietzsche, a self-overcoming of history. The question of getting beyond history relates to Nietzsche’s characterization of “critical history,” that is, the possibility and necessity of “condemning a past” in creating what he called a “new nature.” This is the need to forget. This is not the forgetting that might be taken to characterize the unhistorical, animal condition (according to Nietzsche, the unhistorical condition is that of the grazing animal, which does not speak because it immediately forgets what it was going to say). “Forgetting,” in Nietzsche’s sense, is an activity in service of life: it can only be considered, not unhistorical, but post- or supra-historical, that is, a form of historical forgetting that overcomes a form of remembering. There is a human need to forget that is not natural but develops: it is a new need. For Benjamin, the need to “forget” is related to the need to “redeem” history. “Redeemed” history could not only be potentially “cited” in “all its moments,” but also, more importantly, forgotten. The need to remember is matched by the need to forget. So, the question turns on the necessity for remembering that would need to be overcome in order to make forgetting, in a transcendent sense, possible and desirable. Benjamin’s concept of historical redemption in the “Theses on the Philosophy of History” was informed by the correspondence he conducted with Horkheimer on the Arcades Project (for which the “Theses” were drafted as an introduction), specifically concerning redemption. Horkheimer pointed out that any redemption must be qualified: the dead remained dead; their sacrifice could not be redeemed in certain respects. For Benjamin, this affected the quality of history: it became the record of wasted potential, or “barbarism.” This was history’s standing reproach to the present. If, for Nietzsche, “critical history” means standing in judgment over history, by contrast, for Benjamin, the critical value of history was in its judgment over the present: history was an effect of the present’s judgment of itself. What does the present need to remember; what to forget? What does it need to judge? If Nietzsche called for the historian to be “man enough” to judge the past, for Benjamin, the required “strength” was to receive history’s judgment and not be devastated by it: the memory of “enslaved ancestors” (Thesis XII). For the nature and character of both the ancestry and the enslavement were precisely the matters to be judged, remembered and forgotten. From what are we descended, and from what must we free ourselves? How do we judge this? Capital presents an apparently unredeemable history, at least in any traditional (theological) sense of redemption. Benjamin was no melancholic but rather sought to diagnose and potentially overcome the melancholy of modernity. But this could only be achieved immanently, from within modernity’s “dialectic” of history. This dialectic had, for Adorno, two sides: dynamic and static. The dialectic of history in capital is one of constantly generated but wasted new potentials. This is its “injustice,” what gives modernity its peculiar, specific melancholy, affecting its demand for redemption. While all of human history may have been characterized by the Messianic demand for redemption, modern history’s demand for redemption is specific and peculiar. Modern history liquidates all prior history, however rendering it, according to Benjamin, more as “rubble” (Thesis IX) than as resource. Modern history ruins prior forms of redemption, in favor of what is, for Benjamin, a specious form of remembering: history as the accumulation of mere facts. What would be its “opposite?” The traditional Messianic eschatological “end of time” is matched by the modern “monstrous abbreviation” that summarizes the entire history of humanity (Thesis XVIII) in capital: an appropriation of all of history that threatens to become its barbarization. For Benjamin, this must be countered by a constructed “constellation,” in which the demand for the redemption of history transforms the time of the present into one of potential secular redemption: not the negation of time as in the coming of the Messiah, but the redemption of time, in time (Addendum A). This would amount to the effective transformation of history, a “fulfillment” of the “here-and-now” appearing as a “charged past” that has the ability to “leap into the open sky of history” (Thesis XIV) as opposed to subordination to a “chain of events” (Thesis IX) or “causal nexus” (Addendum A). Neither celestial redemption outside of time nor secular time without redemption, Benjamin’s philosophy of history seeks the relation of modern temporality to the transformed demand for redemption. The question is how to overcome the ideological abuse of history to which it is subject in modernity. This abuse is due to the form of temporality in capital. For Benjamin, this concerns the “citability” of the moments of the past, which modern society makes possible — and necessary. This is no mere addition to knowledge of the past, a quantitative increase, but rather the fundamental qualitative transformation of what counts as historical knowledge, the self-knowledge of humanity as a function of time. Is the self-production and self-transformation of humanity a function of time? In capital, this is the case, but in a certain sense, producing what Benjamin called a “causal chain” of events “anterior” to the present. However, such spatialization of time, once, historically, did not, and so, potentially, would no longer, pertain in a “supra-historical” condition for humanity, as prognosed by Nietzsche. As Adorno concluded his “Reflections on Class Theory,” “This means, however, that dehumanization is also its opposite. . . . Even if the dynamic at work was always the same, its end today is not the end.” The transformation of humanity envisioned by Benjamin and Adorno, appropriating Nietzsche’s discontent in history, was one that would transcend all historical culture “hitherto.” Benjamin and Adorno matched Nietzsche’s “rumination” with Marx and Engels’s Manifesto. The self-overcoming of the entire history of civilization and of its “process of transmission” (which cannot be avoided but only “reversed,” pointing not to the future but the past) would be “against the grain” of the historical progress that can only be regarded as “regression:” the inversion of the meaning of history; the end of history as the end of pre-history in the present, or, the potential redemption of the history of civilization that capital makes possible of itself. The dialectic of memory and forgetting involves changes in both the forms of remembering and the process of forgetting. A form of remembrance is a way of forgetting. It serves a certain way of life. To remember is to forget in a certain way; to forget is to overcome a certain need to remember, and to overcome the past in a certain way. If the present is an effect of history, then it is in the way the past causes the present. Adorno, Theodor W., “Reflections on Class Theory,” trans. Rodney Livingstone, Can One Live after Auschwitz? A Philosophical Reader, ed. Rolf Tiedemann (Stanford, CA: Stanford University Press, 2003), 93–110. Benjamin, Walter, “Theses on the Philosophy of History,” trans. Harry Zohn, Illuminations, ed. Hannah Arendt (New York: Schocken, 1968), 255–266; “On the Concept of History,” trans. Dennis Redmond (2005), available on-line at: <http://www.marxists.org/reference/archive/benjamin/1940/history.htm>; “Paralipomena to ‘On the Concept of History’,” Selected Writings vol. 4 1938–40 (Cambridge, MA: Harvard, 2006), 401–11. Nietzsche, Friedrich, “On the Use and Abuse of History for Life,” trans. Ian Johnston (2010), available on-line at: <http://records.viu.ca/~johnstoi/nietzsche/history.htm>; On the Advantage and Disadvantage of History for Life, trans. Peter Preuss (Indianapolis, IN: Hackett, 1980). “Josephine’s road, however, must go downhill. The time will soon come when her last notes sound and die into silence. She is a small episode in the eternal history of our people, and the people will get over the loss of her. Not that it will be easy for us; how can our gatherings take place in utter silence? Still, were they not silent even when Josephine was present? Was her actual piping notably louder and more alive than the memory of it will be? Was it even in her lifetime more than a simple memory? Was it not rather because Josephine’s singing was already past losing in this way that our people in their wisdom prized it so highly? Presented on a panel with Peter-Erwin Jansen and Sarah Kleeb at Critical Refusals: the 4th biennial conference of the International Marcuse Society, University of Pennsylvania, Philadelphia, October 27, 2011. The last letters between longtime colleagues and friends Theodor W. Adorno and Herbert Marcuse in 1969, in which they debated the difficulties of their perspectives in the face of the 1960s New Left, help to situate Frankfurt School Critical Theory’s Marxism and its continued legacy. On the one hand, Adorno is notorious for calling the police on student demonstrators. But Adorno insisted nonetheless that Marx was not “obsolete” and socialism remained possible, if not immediately. On the other hand, Marcuse’s lectures of the time, such as “The End of Utopia” (1967), his interview in New Left Review on “The Question of Revolution” (1967), and his December 4, 1968 speech “On the New Left” (in Herbert Marcuse, The New Left and the 1960s: Collected Papers of Herbert Marcuse vol. 3, ed. Douglas Kellner [New York: Routledge, 2005], 122–127) made important concessions to the historical moment, against which Adorno sought to warn, in his final writings, “Marginalia to Theory and Praxis” and “Resignation,” which were developed directly from his correspondence with Marcuse. Responding to Adorno, Marcuse acknowledged the fatal mixture, “Rational and irrational, indeed counter-revolutionary demands are inextricably combined.” Marcuse thought that prominent New Left activists like “Danny the Red” Cohn-Bendit, who tried to scandalize Marcuse for his past work for the U.S. government during WWII, were isolated and ultimately minor figures. But Adorno grasped the significance of the kind of action advocated by those like Cohn-Bendit and Rudi Dutschke, especially in their self-conception, an “intransigence” of ethical posturing rather than self-recognition. As Adorno put it to Marcuse, “[T]here are moments in which theory is pushed on further by practice. But such a situation neither exists objectively today, nor does the barren and brutal practicism that confronts us here have the slightest thing to do with theory anyhow.” Adorno and Marcuse’s prognoses on the 1960s New Left thus forecast on-going problems faced by political practice and theory with emancipatory intent, casting subsequent history into critical relief. 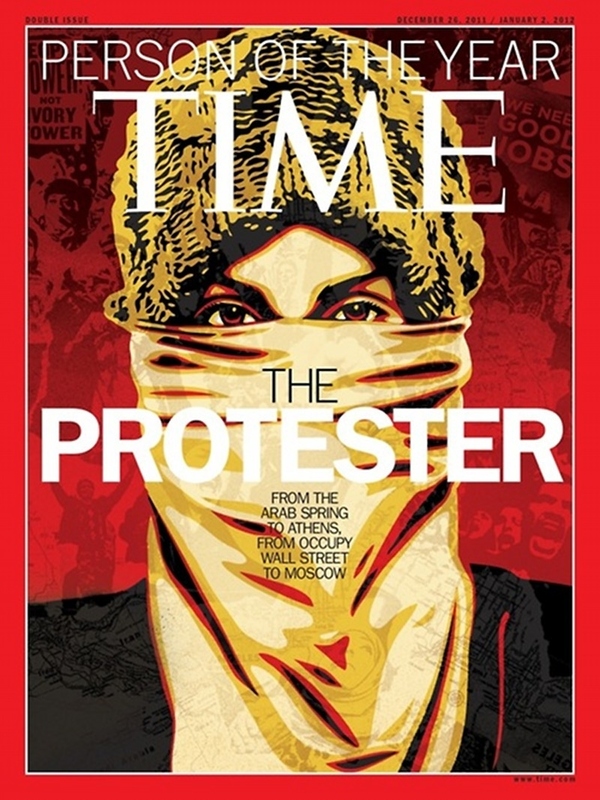 Adorno and Marcuse differed in their estimations of the New Left, but this difference is misunderstood if it is taken to be between opposing and supporting the student and other protests of the 1960s. Rather, the difference between Adorno and Marcuse was in their estimation of the historical moment. Where Marcuse found a potential prelude to a future rather than an actual reinvigoration of the Left, let alone possible revolution, in the 1960s, Adorno was more critical of the direction of the New Left. Marcuse was also critical of the New Left, but accommodated it more than Adorno did. While Adorno might be mistaken for the more pessimistic of the two, it was actually Marcuse’s pessimism with respect to current and future prospects for Marxism that facilitated his greater optimism towards the New Left. The late divergence of Marcuse from Adorno took place in the context of the turn in the New Left in 1969. Adorno grasped a waning of the moment and lowering of horizons that brought forth desperation from the students, whereas Marcuse thought that future prospects remained open. The separation of theory from practice was both the background for and the result of the turn in the New Left by 1969. Where Marcuse tried to theoretically discern the potential, however obscure, in the New Left, Adorno prioritized a critical approach, and emphasized not merely the lack of theoretical self-awareness, but also the lack of political practices that could lead out of the crisis of the New Left by 1969. Adorno emphasized the historical affinity of the late New Left moment with that of the crisis of the Old Left in the late 1930s. Adorno thought that history was repeating itself. Adorno maintained the need for a critical-theoretical approach that could sustain such historical consciousness. By contrast, Marcuse emphasized the potentially new historical situation of the 1960s, and, for Marcuse, this included the changed character of Adorno and Horkheimer’s Frankfurt Institute for Social Research itself. Marcuse thought that the Institute had become politically compromised such that its essential character differed fundamentally in the 1960s from the 1930s: it was part of the established order. Adorno pled for recognizing continuity, especially in his own thinking. In addressing the difference between Adorno and Marcuse, it is important not to neglect other differences that informed and impinged upon their conflict. On the one hand, there were the student protesters, whose perspectives were quite different from either Marcuse’s or Adorno’s. On the other hand, there was Horkheimer’s rejection of the New Left, which was different from Adorno’s critique of it. The actual character of Adorno’s critique of the New Left is lost if his perspective is assimilated to Horkheimer’s. This affected the quality of Adorno’s correspondence with Marcuse in 1969, the documentary record of their disagreement. Marcuse called out Horkheimer’s statements in the press, and Adorno responded to Marcuse in defense of Horkheimer. But Adorno’s defense of Horkheimer’s statements, especially against their misrepresentation, did not mean that Adorno’s perspective was the same as Horkheimer’s or that he entirely agreed with him. There were more than two sides, for or against the New Left. Neither Adorno nor Marcuse was either for or against the New Left: both supported the student and other protesters in certain respects, while both remained critical. Indeed, it was precisely such black-and-white thinking, either/or, for-or-against, that both Marcuse and Adorno thought was characteristic of prevailing authoritarianism in society, from which the New Left was not exempt. In this respect, Habermas’s pejorative characterization of the New Left as harboring “red fascist” tendencies spoke to the underlying continuity between the 1930s and the 1960s, which Adorno was keen to point out, and Marcuse did not deny, but only downplayed its importance in the moment. The issue of Stalinism loomed in estimating the character of the New Left, for both Adorno and Marcuse. “Red fascism” was a term in the aftermath of the 1930s for characterizing precisely the problem of Stalinism. Marcuse thought the problem of Stalinism had waned in importance with respect to the politics of the New Left, whereas Adorno thought that it remained, as bad if not worse than ever. This is the crucial respect in which Adorno’s thought differed from Horkheimer’s (and perhaps also from Habermas’s): Adorno did not regard the problem of Stalinism as having increased since the 1930s, whereas Horkheimer did. Horkheimer’s perspective may thus be characterized as sharing features of the trajectories of other post-WWII Marxists, towards “Cold War” liberalism and social democracy. The difference between Adorno and Horkheimer that can become obscured regarding the disagreement with Marcuse traces back to the beginning of WWII, and the debate in the Institute about Friedrich Pollock’s “state capitalism” thesis. While Pollock was addressing Nazi Germany, this approach has also been regarded as characterizing Stalinism in the Soviet Union. At the time, Adorno differed from his colleagues, averring, in a rather orthodox Marxist way, that even Nazi Germany must be regarded as remaining “contradictory.” This would also apply to the Soviet Union. The question was the character of that contradiction. In what way did such new historical phenomena as Nazi Germany and the Soviet Union, as well as the New Deal U.S., still exhibit the contradiction of capital in Marx’s terms, in however historically transformed ways? I believe that even Marx was still too tied to the notion of a continuum of progress, that even his idea of socialism may not yet represent, or no longer represent, the determinate negation of capitalism it was supposed to. That is, today the notion of the end of utopia implies the necessity of at least discussing a new definition of socialism. The discussion would be based on the question whether decisive elements of the Marxian concept of socialism do not belong to a now obsolete stage in the development of the forces of production. This obsolescence is expressed most clearly, in my opinion, in the distinction between the realm of freedom and the realm of necessity[,] according to which the realm of freedom can be conceived of and can exist only beyond the realm of necessity. This division implies that the realm of necessity remains so in the sense of a realm of alienated labor, which means, as Marx says, that the only thing that can happen within it is for labor to be organized as rationally as possible and reduced as much as possible. But it remains labor in and of the realm of necessity and thereby unfree. I believe that one of the new possibilities, which gives an indication of the qualitative difference between the free and the unfree society, is that of letting the realm of freedom appear within the realm of necessity — in labor and not only beyond labor. This echoed a concern in Marcuse’s prior book, Eros and Civilization, which he republished with a new Preface in the late 1960s. There, Marcuse appropriated Schiller’s account of the “play drive:” work was to become play. In Eros and Civilization, Marcuse contemplated the possibility of a “work instinct,” or a need to labor that could be transformed in a more benign direction rather than being enlisted in combination with the “death drive,” as under capitalism. Upon its initial release, Horkheimer and Adorno had passed on publishing Marcuse’s book in Germany, without comment. A commonplace misunderstanding, owing to vulgar “socialist” sloganeering, such as calling for “production for human needs not profit,” is that capitalism is motivated by profit-seeking. For Marx, capital may be facilitated by profit-seeking, and thus enlist the greed of capitalists, but this is for capital’s, that is, society’s own self-alienated ends, namely, the preservation of value in the system. Where capitalism was supposed to be a means to serve the ends of humanity, humanity became the means for serving the ends of capital. But this is something that workers, in struggling against their own exploitation, also motivate. Marx’s point was that the value of labor had become self-contradictory and self-undermining in the post-Industrial Revolution society of capital: workers’ struggle for the value of their labor was self-contradictory and self-undermining. This was for Marx the “contradiction of capital:” labor was socially necessary only in a self-contradictory sense, in that workers can only acquire their needs through earning a wage, while human labor and thus the workers themselves become increasingly superfluous in the social system. This was why Marx articulated freedom and necessity in the way he did, not because he assumed the material necessity of human labor as the basis for society. Marcuse and the New Left: changes in capitalism? Marcuse, on the other hand, did assume such a necessity, if not materially, then socially and politically, in the sense of the necessary dignity of humanity that the surplus population of the Third World contradicted by the superfluity of their labor, which contrasted starkly, and with a politically invidious effect, against the abundance of the more industrially developed countries. Thus, also in 1967, Marcuse gave an interview for the journal New Left Review titled “The Question of Revolution,” in which he stated that “the conception of freedom by which revolutionaries and revolutions were inspired is suppressed in the developed industrialized countries with their rising standard of living.” This was no mere matter of redistribution of goods at a global scale, but a turning away from work for material abundance and accumulation. The German New Leftist Rudi Dutschke, in his 1968 essay on “Historical Conditions for the International Fight for Emancipation,” wrote of the war in Vietnam as “an intellectual productive force in the process of the development of an awareness of the antinomies of the present-day world.” Dutschke went so far as to say that it was “through lectures, discussions, films, and demonstrations” that “Vietnam became a living issue for us,” thereby blurring contemplative imagery and brute realities. Adorno questioned the direct connection between the anti-imperialist politics of the Vietnamese Communists and the discontents of the students. In his 1969 essay on “Marginalia to Theory and Praxis” (included as the last selection, one of the two “Dialectical Epilegomena” to Critical Models: Catchwords, the last collection of essays he edited for publication), Adorno remarked that “it would be difficult to argue that Vietnam is robbing anyone of sleep, especially since any opponent of colonial wars knows that the Vietcong for their part practice Chinese methods of torture,” repeating language he had used in one of his last letters to Marcuse questioning Marcuse’s less-than-critical support for late-’60s student radicalism. The center of Adorno’s “Marginalia to Theory and Praxis” was the argument that the separation of theory and practice was “progressive,” that is, emancipatory. Adorno contrasted Marx with “Romantic socialism,” which considered the division of labor and not the self-contradiction of the value-form of labor in capital, as the source of alienation. The recently translated conversation between Adorno and Horkheimer in 1956, “Towards a New Manifesto,” about the impossibility of critical theory divorced from political practice, begins by addressing labor as “mediation.” Here, Adorno and Horkheimer addressed labor’s “ideological” function in advanced capitalism, that its social necessity is both “true” and “false.” For instance, Adorno says that if socialism means, at least at first, an equitable division of labor such that he must work as an “elevator attendant” for a couple of hours each day, he wouldn’t mind. In a fragmentary reflection from 1945, Adorno wrote of the “law of labor” under which contemporary reality is constrained and distorted: not the law of “capital,” but the law of labor (quoted in Detlev Claussen, Adorno: One Last Genius [Cambridge, MA: Harvard University Press, 2008], 48). Andrew Feenberg has pointed out in Horkheimer and Adorno’s conversation the specter of Marcuse haunting them. But only Horkheimer mentioned Marcuse, trying to chastise Adorno’s political speculations. Adorno didn’t take the bait: evidently, he didn’t mind the association with Marcuse. Adorno’s differences with Marcuse developed as a function of the New Left. But Adorno’s disagreement with Marcuse was over the character of capitalism, not the New Left. The difference today, more than 40 years after Marcuse and Adorno’s conflict over the New Left in 1969, is precisely the way capitalism has developed since then. Today, while in certain respects like the 1960s, the question of the possibility of a society beyond the compulsion to labor looms, however differently. This is why Adorno’s recovery of Marx, rebutting Marcuse’s late doubts about historical Marxism, can still speak meaningfully and critically today. The problem with capitalism today is not overabundance in consumer goods, as Marcuse along with other New Leftists thought, but rather the continued compulsion to labor that distresses society. This is why, in contrast to Marcuse, and with Adorno and Marx, we must still consider emancipation to lie beyond and not in labor. The following was written for distribution as a flyer [PDF] at the occupation protests. One common misunderstanding of Marx (against which, however, many counter-arguments have been made) is with respect to the supposed “logic of history” in capital. The notion of a “historical logic” is problematic, in that there may be assumed an underlying historical logic that Marx, as a social scientist, is supposed to have discovered. Marx’s (and Engels’s) idea of “science,” however, is not the conventional one of recognizing objective facts independent of the scientific observer, but rather the Hegelian one of knowledge aware of its own conditions of possibility. This is because Marxism was not concerned with how social being “determines” consciousness, but with how both social being and consciousness can change. It was the unfreedom of this process of change in modern society that Marx sought to address in his critical account of capital. For Marx, the “logic of capital” was not a logic at all. Capital was, in Marx’s view, a process of social disintegration, in fits and starts, and no wheel of history — at least not in terms of freedom. In what way was Marxist thought and political practice “critical?” Marx sought to raise greater awareness of the potential possibility of the transformation of society in freedom, which meant as a function of changes in consciousness as well as in social being. Following Kant and Hegel, Marxism asks: is consciousness merely to be the Stoical recognition and submission to inevitable change? As Bayard Rustin described the Black Power turn of the late 1960s, “Passionate self-assertion can be a mask for accommodation.”1 This spoke to the entire 1960s moment. In hindsight, it is difficult to disagree with this diagnosis. But the point was that the apparent revolution was not the one the revolutionaries claimed to want, but rather one that used their discontents for other purposes. This involves a complex theory of social change that is worth considering. How might avowedly “revolutionary” ideology repress actual possibilities? Originally published in The Platypus Review 42 (December 2011–January 2012). This configuration of politics on the Left is the “leaderless” and “horizontal” movement celebrated by such writers as Michael Hardt and Antonio Negri (Empire, Multitude, Commonwealth), John Holloway (Change the World without Taking Power), and others. The collapse of Stalinism in 1989 began a period of disorientation and retreat for the avowed “Marxist” Left in the 1990s. This changed in the late 1990s, as disenchantment with Clinton grew. Something similar has taken place ever since Obama’s election, amid the financial crisis, in 2008. The anti-war movement collapsed with the end of the Bush II administration. There is a lesson to be learned about the treacherous political effect of election cycles. The bailout of Wall Street at first prompted a Right-wing response, the “Tea Party” movement. But, after some brief rumblings in campus occupations against austerity in 2009, ever since the Republicans captured a Congressional majority in the 2010 midterm elections, there has been a shift towards Left-wing discontents, beginning with the Wisconsin State House occupation. Looking back, the movement that emerged in the late 1990s (finding an exemplar in Hugo Chavez’s “Bolivarian Revolution” in Venezuela2), blossoming in the 1999 Seattle protests, was dealt a sharp blow, right after the Genoa G-8 protests in summer 2001 that sought to build upon Seattle, by the 9/11 attacks. The standard narrative is that the anti-globalization movement was spiked and diverted by the 9/11 attacks and their aftermath — perhaps even intentionally so, as the Left-wing 9/11 “truth” movement (indicatively prominent in the current occupation movement) was paranoid that the U.S. (or Israeli) government, and not al Qaeda, had perpetrated the attacks. 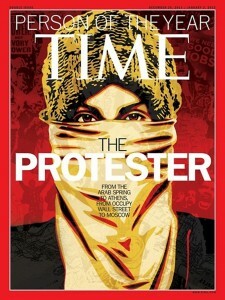 Anti-globalization protest became occluded in the “War on Terror” era. Obama’s election dispelled the Left that yearned for a Democratic administration, revealing the bankruptcy of the “Marxist” Left opposing Bush’s wars. But the “anti-imperialist” turn in the 2000s had been regrettable from the perspective of the 1990s Left activists who had crystallized their experience in Seattle in 1999 and Genoa in 2001, as well as in the burgeoning “World Social Forum” movement. It is only right that such inadequate “Marxism” falters after the 2000s. Today, the “Marxist” ideological Left of sectarian organizations struggles to catch up with the occupation movement and threatens to be sidelined by it — as Marxist groups had been in Seattle in 1999. It is a measure of the bankruptcy of the “Marxist” Left that organizations could only rejuvenate themselves around the anti-war movement, in terms of “anti-imperialism,” submerging the issue of capitalism. But that moment has passed. The danger, though considerable, is not merely one of the labor movement and the broader popular milieu of the occupation movement feeding into the Democratic Party effort to re-elect Obama in 2012. Rather, the challenge is deeper, in that what is meant by anti-capitalism, socialism, and hence Marxism might suffer another round of superficial banalization and degradation (“We are the 99%!”) in responses to the present crisis. The Left may suffer a subtle, obscure disintegration under the guise of its apparent renaissance. Originally published in The Platypus Review 41 (November 2011). Socialism is meant to transcend liberalism by fulfilling it.2 The problem with liberalism is not its direction, supposedly different from socialism, but rather that it does not go far enough. Socialism is not anti-liberal. The 20th century antinomy of socialism versus liberalism, as expressed in Isaiah Berlin’s counterposing of “positive and negative freedoms” or “freedom to [social benefits] versus freedom from [the state],”3 or the idea that social justice conflicts with liberty, travesties (and naturalizes) and thus degrades the actual problem, which is not a clash of timeless principles—liberalism versus democracy—but a historically specific contradiction of capitalism. To clarify this, it is necessary to return to a Marxist approach, such as Lenin’s. This is recognizable by way of considering Lenin’s various discussions of the state, political parties, and society.5 Lenin assumed that these were not the same thing and did not assume that “socialism” meant making them into the same thing. Most of Lenin’s readers (both followers and detractors) either praise or denounce Lenin, mistakenly, for his supposed attempts to make society into an undifferentiated totality. Not only what Lenin said, but what he did shows otherwise. 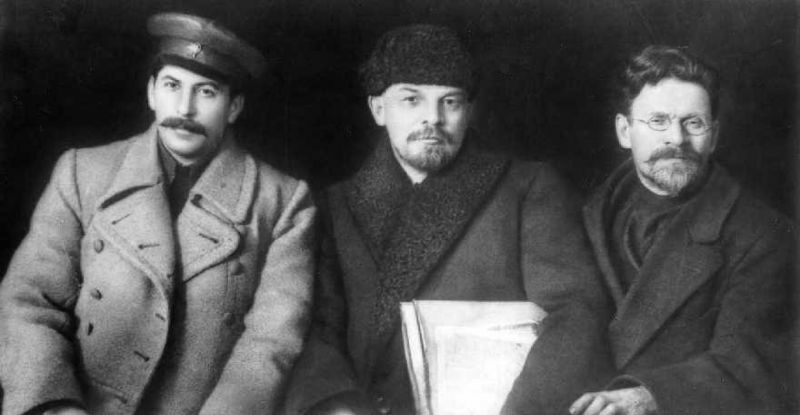 Furthermore, one must take into account how Lenin avowedly sought to be true to Marx, whether one judges Lenin to have been successful in this or not. Therefore, at least in part, one must reckon with the problem of evaluating Lenin as a Marxist. It is a fundamental error to regard Lenin as a largely unconscious political actor who was reduced to theoretically “justifying” his actions. Readers often commit the fallacy of projecting their own inclinations or fears onto Lenin and misinterpret him accordingly. On the contrary, one must address what Lenin said and did in terms of the coherence of his own self-understanding. For this, it is necessary to regard the historical, that is, social and political, circumstances within which Lenin not only acted but spoke. From the various available records, Lenin did not write treatises but political pamphlets, moreover with propagandistic purpose, including his most “theoretical” works such as The State and Revolution (1917). The Russian Revolution presented new problems, not with regard to socialism, which was never achieved, but rather with regard to the revolution, which failed. Like the Commune, the revolution that opened in 1917 was abortive. Isolation in Russia was defeating: the failure of the German Revolution 1918–19 was the defeat of the revolution in Russia. Stalinism was the result of this defeat, and adapted itself to it. Lenin already contended with this defeat, and distinguished his Marxism from both Right opportunism and ultra-Leftism.10 The question is, what can we learn about this failure, from Lenin’s perspective? The proletarian socialist revolution, in Lenin’s view as well as Marx’s, was not meant to bring about the Millennium, but rather to clear certain obstacles to the struggle for the working class’s social and political self-determination (not exclusively as a matter of the state), which Marx and Lenin thought could lead society beyond capitalism. Moreover, this was conceived largely “negatively,” in terms of problems to be overcome. The revolution, in Marxist terms, does not produce an emancipated society ready-made, but only, perhaps, political forms through which emancipatory social transformation, otherwise blocked by capitalism, might be pursued and developed further. Lenin, like Marx, thought that overthrowing both the rule of capitalist private property in the means of production and the subjection of society to the vicissitudes of the market, the classic demands of proletarian socialism as it had developed after the Industrial Revolution, might allow this. Originally published in The Platypus Review 40 (October 2011). Platypus members Spencer Leonard and Chris Cutrone presented at the Communist Party of Great Britain (Provisional Central Committee) Communist University, Goldsmiths, University of London, August 13–20, 2011. “Capital in history” presentation and discussion complete audio recording. “Capital in history” edited video from Communist Party of Great Britain on Vimeo. I am writing in response to Mike Macnair’s 2003 critical review of John Rees and David Renton’s books (“‘Classical Marxism’ and grasping the dialectic,” Weekly Worker 495, September 11, 2003), cited in Macnair’s critique of Platypus (“No need for party?,” Weekly Worker 865, May 12, 2011; “Theoretical dead end,” Weekly Worker 866, May 19, 2011; “The study of history and the Left’s decline,” Weekly Worker 868, June 2, 2011; and “Divided by a common language?,” Weekly Worker 872, June 30, 2011). I wish to refer also to my three letters and article in response, “Platypus” (Weekly Worker 866, May 19, 2011), “Fish nor fowl” (Weekly Worker 867, May 26, 2011), “The philosophy of history” (Weekly Worker 869, June 9, 2011) and “Useful Platypus” (Weekly Worker 873, July 7, 2011). I find Macnair’s analysis and critique of the political motivations and potential consequences of Rees’s affirmative account of Marxist Hegelianism compelling and good. 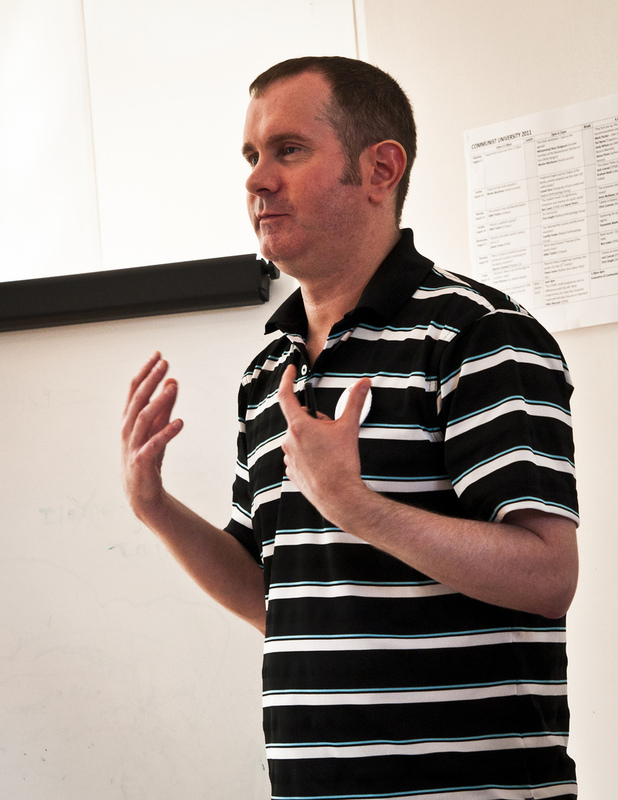 I agree with Macnair’s conclusion that, despite Rees’s former SWP/UK leader Alex Callinicos’s anti-Hegelian Althusserianism, Rees considering “historical experience summed up in theory” was intrinsically connected to the SWP’s concept of the party as one which “centralises experience”, with all the problems such a conception entails. I wish to offer a rejoinder to Macnair’s idea that such problematic conceptions of theory and political practice have roots in Lenin, Luxemburg and Lukács, Macnair’s analysis of whom I find to be false. Also, I do not think that Macnair quite gets Hegel, although I agree with his characterisation (in “Against philosopher kings,” Weekly Worker 749, December 11, 2008) that “philosophy — as such — is inherently only a way of interpreting the world”, and so limits Hegel’s work for the political purposes under consideration. Furthermore, I agree with Macnair’s interpretation of Lenin with respect to the purposes of his polemical defence of Marxist approaches to philosophy in Materialism and empirio-criticism (1908). Moreover, I agree with his central point that philosophical agreement cannot be the basis of agreement on political action. However, as Nicholas Brown responded to comrade Macnair’s question at the opening plenary on ‘The politics of critical theory’ of the Platypus convention in Chicago on April 29, it is not possible to ‘Hegelianise’ Marx, because Marx was more Hegelian than Hegel himself (Platypus Review 37, July 2011). That is, Marx tried to achieve the ‘Hegelian’ self-consciousness of his own historical moment. The question is, what relevance has Marx’s Hegelianism today, and what is the relevance of taking such a Hegelian approach to the history of Marxism subsequent to Marx? I disagree that Lukács’s “subject” of history is the point of view or relative perspective of the proletariat as the revolutionary agent that must assert its “will”. Rather, I take Lukács to be following Lenin and Luxemburg (and Marx) quite differently than Macnair seems to think, in that the workers’ movement for socialism is the necessary mediation for grasping the problem of capital in its “totality”, that the workers must not remake the world in their image, but rather lead society more generally beyond capital. Hence, as Macnair characterises the approach of the Kautskyan “centre” of the Second International, the socialist workers’ movement must be a leading, practical force in democratic struggles beyond the workers’ own (sectional) interests in the transformation of society as a whole. I disagree that Lenin made a virtue of necessity in the Russian Revolution after October 1917 and adopted a voluntarist (and substitutionalist) conception of the working class and the political party of communism. Rather, Lenin consistently criticised and politically fought against those tendencies of Bolshevism and in the early Third International. I do not think that Lenin’s newly found ‘Hegelianism’ after 1914 was the means by which he achieved (mistaken) rapprochement with the ‘left’. The key is Luxemburg. I do not think she was a semi-syndicalist spontaneist/voluntarist, or that she neglected issues of political mediation: she was not an ‘ultra-left’. I take her pamphlet, The mass strike, the political party, and the trade unions (1906), to have an entirely different political purpose and conclusion. It was not an argument in favour of the mass strike as a tactic, let alone strategy, but rather an analysis of the significance of the mass strike in the 1905 Russian Revolution as a historical phenomenon, inextricably bound up in the development of capital at a global scale, and how this tasked and challenged the social democratic workers’ movement (the Second International and the SPD in particular) to reformulate its approach and transform itself under such changed historical conditions, specifically with regard to the relation of the party to the unions. Luxemburg’s perspective was neither anarcho-syndicalist/spontaneist nor vanguardist, but rather dialectical. The mass strike was not a timeless principle. For Luxemburg, 1905 showed that the world had moved into an era of revolutionary struggle that demanded changes in the workers’ movement for socialism. A contradiction had developed between the social democratic party and (its own associated) labour unions, or ‘social democracy’ had become a self-contradictory phenomenon in need of transformation. Furthermore, I take Lenin’s critiques of Kautsky for being “non-dialectical” to be very specific. This is not a critique of Kautsky ‘philosophically’ (although it does speak to his bad practices as a theorist), but politically. It is about Kautsky’s non-dialectical approach to politics: that is, the relation of theory and practice, or of social being and consciousness, in and through the concrete mediations of the historically constituted workers’ movement. Kautsky failed in this. 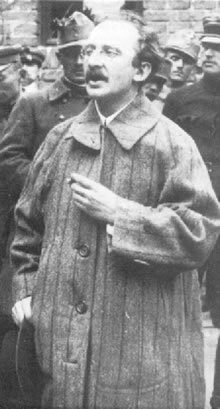 Lenin agreed with Luxemburg in her Junius pamphlet (1915) that the problem was Kautsky thinking that the SPD’s Marxism (that is, what became Kautsky’s USPD) could “hide like a rabbit” during World War I and resume the struggle for socialism afterward. Or, as Lenin put it in his Imperialism: the highest stage of capitalism (1916) and Socialism and war (1915), contra Kautsky’s theory of ‘ultra-imperialism’, the world war must be seen as a necessary and not accidental outcome of the historical development of capitalism, and so a crisis that was an opportunity for revolutionary transformation, and not merely, as Kautsky thought, a derailment into barbarism to be resisted. This was the essential basis for agreement between Luxemburg and Lenin 1914–19. I do not think the separation of the pre-World War I Lenin from Luxemburg is warranted, especially considering their close collaboration, both in the politics of the Russian movement and in the Second International more generally, throughout the period 1905–12 and again 1914–19. Throughout their careers, Lenin and Luxemburg (and Trotsky) were exemplars of the Second International left, or ‘radicals’ in the movement. They all more or less mistook Kautsky to be one of their own before August 1914. Also, Kautsky himself changed, at various points and times — which is not to say that Lenin, Luxemburg and Trotsky never changed. But the question is the nature and character of such change, and how these figures allow us to grasp the history of Marxism. It is not about learning from their trials and errors, I think, but rather from the example of their ‘consciousness’, not merely theoretically, but practically. Moreover, the history of Marxism must be approached as part and parcel, and the highest expression, of the history of post-1848 capital. Lukács’s ‘Hegelian’ point was that “subjective” struggles for transformation take place in and through “necessary forms of appearance” that misrecognise their “objective” social realities, not in terms of imperfect approximations or more or less true generalised abstractions, but specifically as a function of the “alienated” and “reified” social and political dynamics of capital. Capital is “objective” in a specific way, and so poses historically specific problems for subjectivity. The reason for Marxists distinguishing their approach from Hegel is precisely historical: that a change in society took place between Hegel’s and Marx’s time that causes Hegelian categories, as those of an earlier, pre-Industrial Revolution era of bourgeois society, to become inverted in truth, or reversed in intention. Marx’s idea was that the “contradiction” of bourgeois society had changed. Thus the dialectical “law of motion” was specific to the problem of capital and not a transhistorical principle of (social) action and thought. Marx’s society was not Hegel’s. The meaning of Hegel had changed, just as the meaning of the categories of bourgeois society had changed. Labour-time as value had become not productive (if not unproblematically) — as in Hegel’s and Adam Smith’s time, the era of ‘manufacture’ — but destructive of society; as a form of social mediation, wage-labour had become self-contradictory and self-undermining in the Industrial Revolution, hence the ‘crisis of capital’. One fundamental disagreement I have with Macnair’s approach, in which I think I follow Lenin, Luxemburg, Lukács and Marx, is with the idea that the potential transformation of capitalist society involves the confrontation of two antithetical social principles, of the workers (collectivism) vs the capitalists (individual private property). Capital, as Marx understood it, is not based on the mode of existence of the capitalists, falsely generalised to society as a whole, but rather that of the workers. This is not a top–down, but a bottom–up, view — shared by Smith, for example. As Lukács put it, the fate of the worker becomes that of “society as a whole” (“Reification and the consciousness of the proletariat”  part 1, ‘The phenomenon of reification’ in History and class consciousness: studies in Marxist dialectics [Cambridge, MA: MIT Press, 1971], 91). The contradiction of capital is the contradiction of the workers’ — not the capitalists’ — existence in society. For Marx, capital is a social mode of production and not merely a relation of production. As a mode of production, capital has become increasingly self-contradictory. As a function of capital’s historical development, through the Industrial Revolution, in which the workers’ own increasing demands for bourgeois rights, to realise the value of their labour, and not merely capitalist competition, played a key, indispensable role, bourgeois society became self-contradictory and self-undermining. That is, the workers centrally or at base constituted the self-destructive, social-historical dynamic of capital through their labouring and political activity. This development culminated in the crisis of world war and revolution 1914–19. As Lenin put it in The state and revolution, the social relations of bourgeois society — namely, the mutual exchange of labour as the form of social solidarity in capital — could only be transformed gradually and thus “wither away,” and not be abolished and replaced at a stroke (The state and revolution chapter 5, ‘The economic basis of the withering away of the state’, part 3, ‘The first phase of communist society’). The proletarian socialist revolution was supposed to open the door to this transformation. The potential for emancipated humanity expressed in communism that Marx recognised in the modern history of capital is not assimilable without remainder to pre- or non-Marxian socialism. As Marx put it, “Communism is the necessary form and the dynamic principle of the immediate future, but communism as such is not the goal of human development, the form of human society” (Economic and Philosophic Manuscripts of 1844). This was because, according to Marx, “Communism is a dogmatic abstraction and . . . only a particular manifestation of the humanistic principle and is infected by its opposite, private property” (letter to Arnold Ruge, ‘Ruthless criticism’, September 1843). Marx was not the pre-eminent communist of his time, but rather its critic, seeking to push it further. Marxism was the attempted Hegelian self-consciousness of proletarian socialism as the subject-object of capital. As Lukács’s contemporary, Karl Korsch, pointed out in ‘Marxism and philosophy’ (1923), by the late 19th century historians such as Dilthey had observed that “ideas contained in a philosophy can live on not only in philosophies, but equally well in positive sciences and social practice, and that this process precisely began on a large scale with Hegel’s philosophy” (Karl Korsch, “Marxism and Philosophy” , in Marxism and Philosophy trans. Fred Halliday [New York: Monthly Review Press, 1970 and 2008], 39). For Korsch, this meant that ‘philosophical’ problems in the Hegelian sense were not matters of theory, but practice. From a Marxian perspective, however, it is precisely the problem of capitalist society that is posed at the level of practice. Korsch went on to argue that “what appears as the purely ‘ideal’ development of philosophy in the 19th century can in fact only be fully and essentially grasped by relating it to the concrete historical development of bourgeois society as a whole” (40). Korsch’s great insight, shared by Lukács, took this perspective from Luxemburg and Lenin, who grasped how the history of the socialist workers’ movement and Marxism was a key part — indeed the crucial aspect — of this development, in the first two decades of the 20th century. The problem we have faced since then is that the defeat of the workers’ movement for socialism has not meant the stabilisation, but rather the degeneration, disintegration and decomposition, of bourgeois society — without the concomitant increase, but rather the regression, of possibilities for moving beyond it. This shows that the crisis of Marxism was a crisis of bourgeois society, or the highest and most acute aspect of the crisis of capital: bourgeois society has suffered since then from the failure of Marxism. The ‘crisis of Marxism’, in which Lenin, Luxemburg and Trotsky took part (especially in 1914–19, but also in the period leading up to this, most significantly from 1905 on), and Lukács tried to address ‘theoretically’ in History and class consciousness and related writings of the early 1920s, was (the highest practical expression of) the crisis of bourgeois society. This crisis demanded a Marxist critique of Marxism, or a ‘dialectical’ approach to Marxism itself: that is, a recognition of Marxism, politically, as being a self-contradictory and so potentially self-undermining historical phenomenon (a phenomenon of history — hence the title of Lukács’s book, History and class consciousness), itself subject to necessary “reification” and “misrecognition” that could only be worked through “immanently”. This meant regaining the “Hegelian” dimension, or the “self-consciousness” of Marxism. This is because Marxism, as an expression of the workers’ “class-consciousness”, was — and remains — entirely “bourgeois”, if in extremis. While self-contradictory in its development, the socialist workers’ movement, including its Marxist self-consciousness, pointed beyond itself, ‘dialectically’ — as consciousness of the bourgeois epoch as a whole does. I follow Adorno’s characterisation of the problem of workers’ consciousness and the necessary role of intellectuals, which he took from Lenin, in his letter to Walter Benjamin of March 18, 1936: “The proletariat . . . is itself a product of bourgeois society. . . . [T]he actual consciousness of actual workers . . . [has] absolutely no advantage over the bourgeois except . . . interest in the revolution, but otherwise bear[s] all the marks of mutilation of the typical bourgeois character. This prescribes our function for us clearly enough — which I certainly do not mean in the sense of an activist conception of ‘intellectuals’. . . . It is not bourgeois idealism if, in full knowledge and without mental prohibitions, we maintain our solidarity with the proletariat instead of making of our own necessity a virtue of the proletariat, as we are always tempted to do — the proletariat which itself experiences the same necessity and needs us for knowledge as much as we need the proletariat to make the revolution” (Theodor W. Adorno, “Correspondence with Benjamin,” New Left Review I/81 [September–October 1973], 66–67). Oiriginally published in The Weekly Worker 878 (August 11, 2011) [PDF]. The following was originally posted as a comment on Andrew Coates, “Platypus versus Weekly Worker: negative dialectics” (July 12, 2011). We in Platypus consider our project to be Marxist in the sense that the necessary agent of social transformation remains the working class. Looking back on history, it becomes clear to us that the highest moments of social potential have coincided, not unproblematically, however, with the high points of the workers’ movement for socialism. The question is if and how the working class is presently constituted as a political force. We don’t think it is. For it is not only the case, for us, that the “Left is dead!,” but also that the labor movement is dead. This is perhaps the bitterest pill to swallow. But we think that the labor movement and the Left share fates: that one cannot advance without the other, and that they both go down together. In this sense we would agree with Luxemburg and Marx concerning “social democracy.” But this then poses the further question of in what ways Marx, Luxemburg, et al. were (“immanent”) critics of the social-democratic workers’ movement, or, of proletarian socialism, and not merely its advocates. Furthermore, the issue is not simply “democracy” but also “liberalism,” that is, what is the relation between individual and collective social freedom? On “instrumentality,” there is a common misunderstanding of Frankfurt School Critical Theory on this score: “reason” becomes “instrumentalized” not in the way people exercise it, but rather as a function of the social-historical logic of capital. Our reason is reduced to an instrument of the reproduction of capital. So it becomes a matter, not of thinking our way out of capital, but of pushing further and more acutely the immanent logic of capital, and trying to raise it to consciousness (this is the notorious “Hegelianism”). The question is whether that is happening today or not. On “Bonapartism” the issue is not whether conjuncturally the capitalist bourgeoisie has lost control here or there, but rather how the logic of capital has escaped effective human control, especially in terms of politics, ever since 1848. The index of this train-wreck of capitalism is the “authoritarian” character of politics, in which no one really believes that the political measures taken will solve the social problems, but everyone submits to them, in “bad faith,” anyway. Bourgeois society in its continued decadence has sacrificed not merely the workers’ social empowerment and freedom, but that of all members of society. Not only the working class, but importantly also the bourgeoisie, individually and collectively, submits itself to the strong and arbitrary state. For it’s quite unclear that the state today acts in the capitalists’ interests, other than by default. As Marx put it, the capitalists are less worried about losing their rights than they are afraid of the workers gaining theirs. The issue is the general trend of capitalism becoming more illiberal, ever since 1848, and what are the political and social-psychological phenomena of this taking place. As Adorno put it, it becomes easier to believe the lie one knows is a lie than to struggle for more uncertain and dangerous emancipation. This is what it means to advance through history with one’s back turned, transfixed by the horror of the past. But, according to Benjamin, it is not we humans who do this, but rather the “angel of history,” who has ceased to be our guardian companion and instead has become our horrified reflection. History, in Hegel’s philosophical sense of the story of reason in freedom, has abandoned us. “Those who labor must rule.” Platypus agrees with this Marxist truism. But we ask the question of why this is so. We do not assume it. Why does the workers’ movement for socialism express emancipatory potential? In avoiding this question, as the basis for critically thinking and practically working through (supposedly) “anticapitalist” politics, the present (dead/pseudo-) “Left” instead (at best) reifies the “proletariat.” Rather than seeking to push (the contradictions of) working class politics further, the “Left” cheerleads what the working class is already doing, ignoring how the struggle for socialism, as it was pursued in Marx and the best Marxists’ times, has long since ceased. The critical conversation on the death of the Left that we in Platypus seek to host is not between ourselves and others, but among the broadest range of “Leftists” today who can contribute to expressing the buried but remaining historical tasks of human emancipation that were once more acutely (and not uncontradictorily) expressed by the historical Left and Marxism. This is not a directly political project, but an indirect one. I am writing to respond to Mike Macnair’s critique (“Divided by a common language?,” Weekly Worker 872, June 30, 2011) of my article on “The philosophy of history” (June 9). J.P. Nettl’s biography of Rosa Luxemburg can be plausibly considered his life-work and not ancillary to his primary intellectual concerns because it was the product of almost 20 years of thinking, not the 3 years of intensive writing that produced his book. Nettl’s preface to his book clearly indicates this, that immediately after WWII his imagination was captured by the history of pre-WWI Marxism in the SPD and Luxemburg in particular, but that the controversial nature of the subject made him ruminate long on it, and forgo available sources of support for his study of it, before publishing his 1,000 page book in 1966. Let’s be clear: Nettl was not a Marxist. But that should not anathematize any insights he may have had. About “imperialism” and “authoritarianism,” I was concerned to show their interrelated character, which I sketched only in very broad outline: the general historical trend of post-1848 Bonapartism, all the way up to the present. As Marx and Engels put it, Bonapartism expressed a situation in which the capitalists could no longer and the workers not yet rule society (see Engels’s 1891 introduction to Marx’s The Civil War in France, 1871). I agree with Mike Macnair, that, e.g. Bukharin’s explanation of imperialism’s effect on the socialist workers’ movement, the political compromise of the metropolitan workers with respect to their national states, is better than the idea that they were economically “bought off” (I disagree however that the latter was Lenin and Trotsky’s essential perspective). I agree as well that the virtue of such an emphatically political explanation is that it can account for similar phenomena in the periphery. But this raises the issue of what I have called “authoritarianism,” or willing support for the status quo and hostility to alternatives, and the subjectivity for doing so, again. Why are the workers more often conservative, even virulently and self-destructively so, than not? The explanation of (some) workers’ support for fascism by reference to their peripheral character (i.e., the unemployed or “lumpenized”) is what indeed “dodges the issue.” While the SPD and KPD’s refusals to fight a civil war against fascism in Germany in 1918–21 and circa 1933 may have been of decisive, conjunctural importance, this itself is what requires explanation (it also leaves aside the Italian case). It cannot be laid simply on bad leadership — on the parties’ bad decisions — without reference to the workers’ fear, or lack of support for better action, which was broken, however briefly, in Germany in 1918–19, but precisely as a civil war among the workers. The contrast of 1918–19 with 1933 could not be more clear: as Adorno put it, 1919 already decided what came later (see “Those Twenties,” 1962, in Henry Pickford, ed., Critical Models, Columbia University Press, 1998). The issue of Hegelianism is a difficult one: how to include the “subjective factor in history.” I think this turns on how one understands Marx’s critique of Hegel. I don’t think that Marx’s reference to the “real” is in an empiricist sense, but rather in Hegel’s sense of the actuality of the rational in the real. The issue turns on the relation of essence and appearance, or, with what necessity things appear as they do. What is essential is what is practical, and what is practical is subjective as well as objective. Theoretical reflection on the subjective must use metaphysical categories that are not merely handy but actually constitutive of social practices in which one is a subject. The commodity form is not a generalization from experience. All of this, however, is largely beside the point regarding Platypus. For the conversation we seek to host is not between ourselves and others, but much more widely on the avowed Left, and among those with far greater experience than what is available among our own members. We serve only to facilitate, even if we have to elbow our way in, provocatively, to make the space for such conversation, otherwise foreclosed. We consider the need for such conversation to be more ideological than practical at present. Originally published in The Weekly Worker 873 (July 7, 2011).